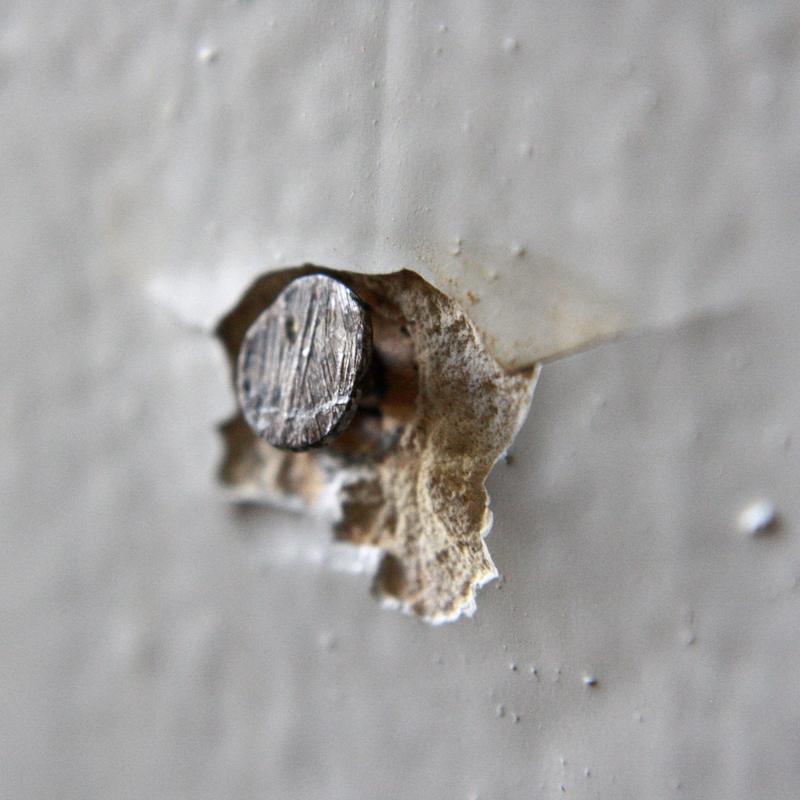 Free high resolution photo of a nail head sticking out of a wall. This image is a close up or macro shot of a nail head which is not completely flush against the surface of the wall that it’s been nailed into. Around the edge of the nail you can see damage to both the paint and the drywall. Free image for any use.